The right strategy is one that lets a business modernise its mainframe applications and benefit from the cloud, while retaining the business logic and intellectual property in those applications that delivers their competitive advantage. Using a cloud-based infrastructure it is possible for businesses to achieve this without significant risk or cost. The first requirement for any cloud-based solution for mainframe applications is that it must be cost-effective, secure, and reliable. It must modernise the applications to meet the current and future demands of the business and its customers. 1. Rewrite. By recreating the existing application functionality in a language more typically associated with the cloud, businesses can address concerns around programming language skills. However, this requires significant investment without additional functionality or benefits. There is also a high risk of failing to deliver fully functioning, supportable code. 2. Replace. Businesses can implement a Software-as-a-Service (SaaS)-based solution to replace current systems. This provides an opportunity to review and modify current business processes but, for all but the most basic applications, the lack of functionality within off-the-shelf options means a business may lose the competitive advantage associated with the original application. 3. Rehost. It is possible for businesses to rehost the applications without change to a platform supporting cloud deployment. This helps retain competitive advantage in current applications and lets a business further modernise the application. However, mainframe discussions and decisions can be highly politicised. For most organisations, a combination of replacing and rehosting will deliver the greatest benefits. It lets businesses deploy modernised applications to the mainframe or an alternative platform based on business and operational requirements. faster time to market for products and services is achieved by moving test and development environments into the cloud. The ability to provision “mainframe instances” in minutes allows organisations to now true mainframe DevOps with exceptionally fast turnaround between teams. 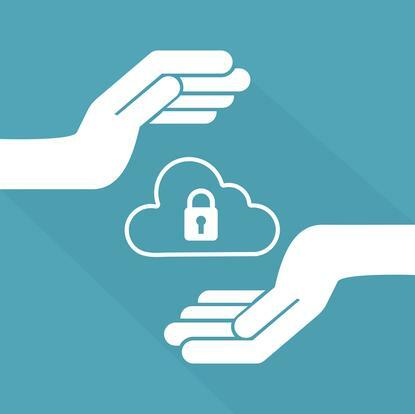 security since rehosting to the cloud lets applications be integrated within the standard security infrastructure and use industry standard tools, plus security can be further enhanced with long username and password support as well as multi-factor authentication. Moving to a cloud environment such as Azure frees businesses from the constraints of proprietary mainframe hardware and software. This leads to faster access to infrastructure, greater scalability, higher availability, improved time to market, and business continuity. All of this is delivered in highly-secure data centres. Businesses need a solution that maps current mainframe services to the cloud while retaining the core services needed to let the applications run unchanged. Achieving this can unlock significant savings and speed through productivity improvements, reduced operating costs, and improved system performance and quality. One of Germany’s leading public-sector IT services provides a payroll solution to its clients, processing salary payments for 420,000 people every month. Constantly-changing salaries, tax rates, and more meant the business needed to regularly adjust and update its software, which relied heavily on COBOL for the business logic, running on mainframes. To respond faster to customer requests and streamline development workflows, the business wanted to move the payroll processing solution to a more modern platform to take advantage of the latest development tools and programming languages. The business decided to migrate its COBOL applications from the mainframe to a cloud environment. This approach was a low-risk way to migrate the most critical business logic to a new platform, one step at a time. The migration was completed quickly and safely, giving the business a stable, future-proof platform. It can now update applications faster with a more agile, iterative approach, so it can meet every-changing requirements easily. As the business’s customers continue to embrace digital workflows, the modernised applications let it deliver cutting-edge, high-quality services while protecting critical HR processes.